For some people it's all about the statement necklaces, but I personally am a big fan of big statement earrings. These Soho Hearts earrings ($44) do just the trick. 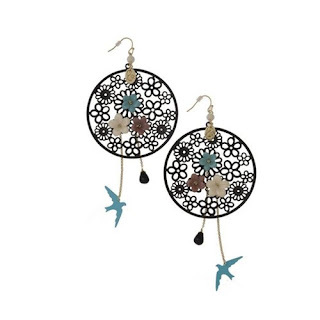 I'm enamored with the dangling birdies and the delicate porcelain flowers. Tip: Show off your statement earrings by wearing your hair pulled back.